The low Tatras are less impressive than the high Tatras, however, they are full of interesting sites to see and attractions for the whole family. I reivew and recommend a few trips, attractions and restaurants suitable for a star trip from Liptovsky Mikulas. We took a trip to Slovakia in August 2014. We flew via Budapest and spent half the time in the low Tatras and half in Poprad. We stayed at Liptovsky Mikulas, at Janosic hotel, which we were very happy with, well located, high quality services, pool and spa and very good breakfast. I wrote a review with photographs of Janosic hotel. Pizzeria Ma-Mi – this was our favorite restaurant and we at there almost every evening. Everything we tried there was tasty and not expensive! it is located near the old town center so you can take a nice stroll there after or before supper. 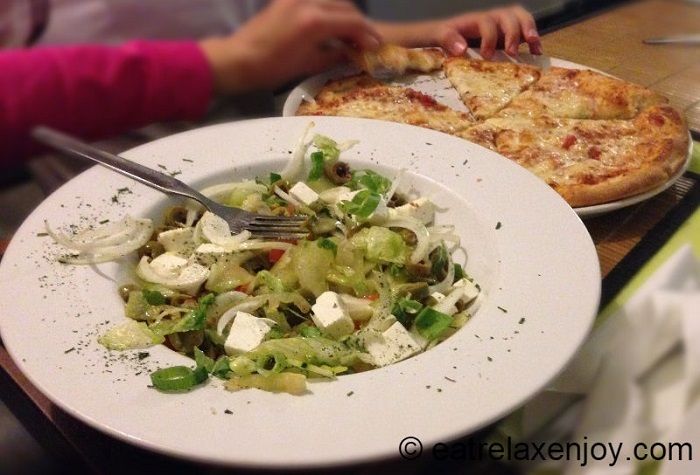 I hope to write more about it, below is a picture of a salad and pizza we ate there. Route 66 – we ate there on the first night we arrived. The main advantage of this restaurant is that it is open late – until midnight usually. My family did not like the food and the atmosphere, I thought it was good. Hurikan Pizza – we took there a pizza to the hotel. It was good and I don’t recall anything special about it. McDonalds – located at the industrial area near the roundabout of the highway. There’s also McCafe there with some fancy cakes and pastries. It is a large dripstone cave located near Jasna, not far from Liptovsky Mikulas. 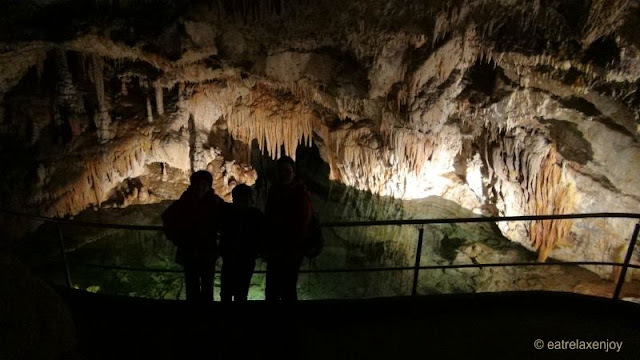 It is an impressive cave; very big with many areas, including karst pools and internal stream, and of course, many dripstones. The guided tour of the cave takes about an hour, but the path to the cave is very steep and there are about 900 stairs in the cave tour! Near Jasna. 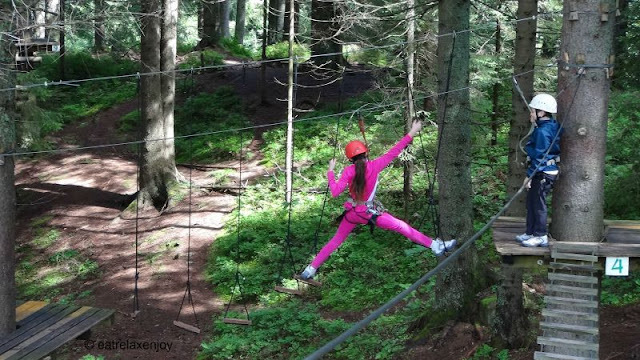 A challenging rope park for the whole family, including high trees challenges and zip wires. 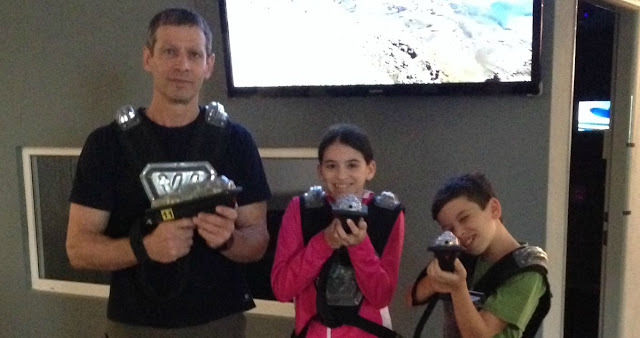 Laser fights and laser labyrinth. Great for rainy days and afternoons after hikes. 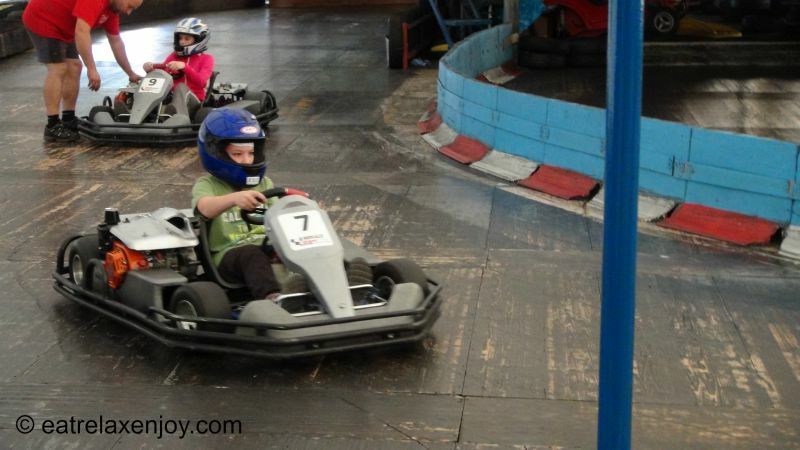 A covered karting arena that is suitable for the whole family. 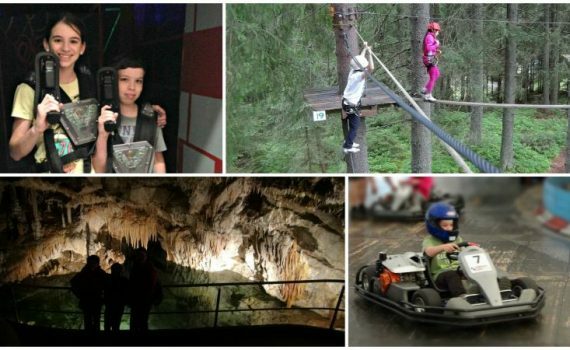 There are a nubmer of karting places around Liptovsky Mikulas so check what they offer in each. 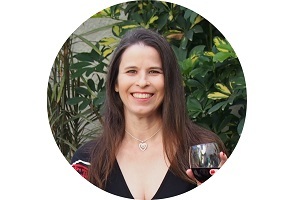 You may want to book a slot as they get filled quickly especially in the holidays and weekends. 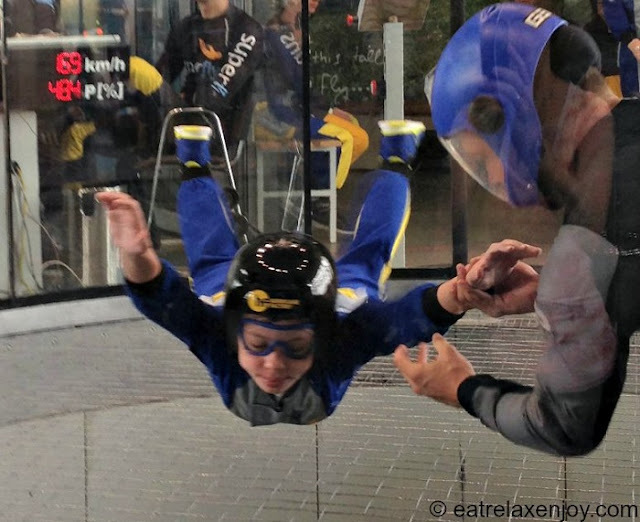 An attraction of floating in the air and free-falling in a wind tunnel. Located near Tatralandia water park and is a great (although expensive) way to spend a rainly day. Make sure you book early and they fill out quickly. As mentioned earlier, there are also the water parks (Tatralandia and Gino), rafting, and many more attractions. On the way to Jasna there is a mountain slide and bungee tranpoline. If you don’t plan to stay also in the high Tatras, you can get to the attractions there from the low Tatras, it is about 1-2 hours, depending which attraction you want to visit.